Insomnia comes in many different forms. Maybe you have a hard time falling asleep. Or you find yourself waking up throughout the night. Or you wake up in the middle of the night and can’t get back to sleep. Either of these forms of insomnia can keep you from getting as much rest as you need. And not getting enough sleep at night can make it harder to navigate the day. We all know the troubles a lack of sleep can cause. You might find it hard to focus or concentrate, even on important projects. You’ll be more prone to having accidents and making mistakes. And you probably won’t be in the best mood either. When you’re tired, you’re more likely to be cranky, to feel depressed, and to lose your temper. The bottom line is that getting enough sleep at night is a good thing. But, if you’ve been struggling with insomnia, you might be wondering how you can actually do that. Well, here are some tips that will help you get all the sleep you need. If you’re sleep schedule is consistent, you will find it easier to fall asleep at night. 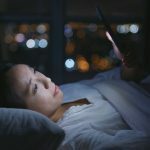 To establish a consistent sleep schedule, you need to go to bed at the same time every night, and get out of bed at the same time every morning. And you should stick to that schedule on weekdays, weekends, and vacations. Sometimes you won’t be able to get to bed at your regularly scheduled time. On those occasions, it’ll be tempting to sleep in the next day. But if you let yourself stay in bed for even 30 minutes past your regular “wake up time,” you will defeat the purpose of having a sleep schedule, which is falling asleep faster. So even when you have to go to bed later than usual, get up at the same time the next morning. You might be a bit tired the next day, but you’re sleep schedule will be maintained. And, as a bonus, you’ll find it easier to fall asleep that night. Actually, you should avoid consuming anything that contains caffeine, including some pain medications. Caffeine is a stimulant, and one of the things it does best is make you more awake and alert. If you go to bed with too much caffeine in your system, it will make it harder for you to get to sleep. It can take caffeine several hours to work its way out of your system. And the closer it is to your bedtime when you drink that cup of caffeinated coffee, the more it will affect your ability to fall asleep. If you’re having trouble getting to sleep at night, try to stop consuming caffeine about six hours before your scheduled bedtime. 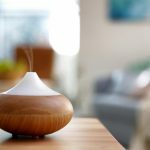 Many things in your environment can affect the quality of your sleep, from the temperature of the room, to how much light there is, to how much noise you can hear coming from outside. Have you ever tried to go to sleep in a room that was too warm? If so, you probably spent some time tossing and turning before finally asleep? It’s easier to fall asleep in a cool room than a warm one. So, during the winter months, turn the heater down a bit before you go to bed. And in the summer months, turn the air conditioner up slightly before you turn in. Any light, even light from the headlights of the car passing by outside, can disrupt your sleep. 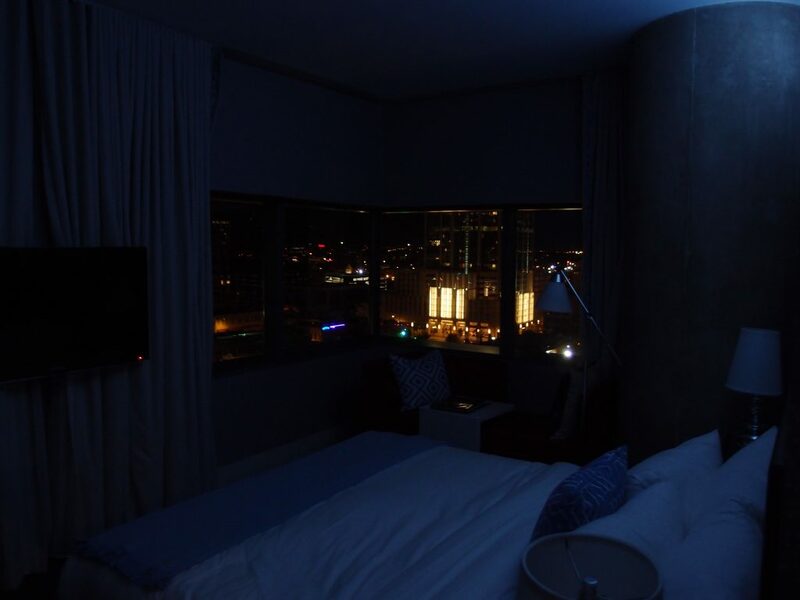 To make your room as dark as possible, invest in blackout curtains to block out light from outside. Turn off the TV, and the hallway light that usually shines through the cracks in your bedroom door. Try a silk sleeping mask and if the numbers on your alarm clock shine bright enough to illuminate your room, you might need a new clock. If your partner likes to sleep with a lamp on, wearing a sleep mask can keep that light from disrupting your slumber. Controlling the noise you might hear while in bed can be a little trickier. 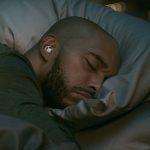 If noise is keeping you awake, or waking you up in the middle of the night, there are plenty of ear plugs on the market that can help block out undesirable sounds. You might have heard how great naps can be. And they are. If you’re feeling tired or unfocused, a power nap can help you recover from an afternoon slump, and give you the energy you need to take on the rest of the day. A nap can even help to strengthen your willpower, so you’ll find it easier to tackle a hard project, or resist eating another donut. But if you’re having trouble getting to sleep at night, taking naps during the day can make it even harder. If you still want to take a nap during the day, keep it short. A 20 or 30 minute nap might be all you need to give you a burst of energy in the afternoon. Also, try to take your nap as early as possible. The later in the day you take a nap, the more likely it is to affect your ability to sleep that night. Have you ever spent the day doing something physically demanding, like working in the garden, playing in a neighborhood ball game, or overseeing a party? If so, you probably didn’t find it hard to get to sleep that night. Doing something physical during the day will tire you out, which will help fall asleep faster when you go to bed. And, once you’ve fallen asleep, you probably won’t wake up until morning. Of course, you probably don’t mow your lawn or oversee family picnics every day. But another way to get a daily dose of physical activity is to exercise. Doing workout that raises your heart rate and makes you sweat a little will help you get a better night’s sleep. Just make sure you don’t exercise too close to your bedtime. Vigorous physical exercise can be stimulating and, like coffee, can make you more awake and alert. This is a good thing early in the day, when being more awake and alert will help you get things done. But it’s the last thing you need if you’re about to go to bed. So, if you’re going to exercise, make sure your workout ends at least 2 to 4 hours before your bedtime. The quality of your mattress can have a major affect on the quality of your sleep. In fact, many people are shocked by how much better they sleep when they get a new mattress. So if your mattress is old, lumpy, or sags in spots, it might be time to get a new one. Many people think that the firmer a mattress is the better. But a mattress that’s too firm could be so uncomfortable that it makes it hard for you to fall asleep. And a mattress that feels too hard can have you waking up throughout the night, and moving around in a vain attempt to find a more comfortable position. On the other hand, for some people, sleeping on a mattress that’s too soft isn’t the best idea. 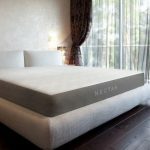 If a mattress doesn’t give them enough support, it can have negative impact on both the quality of their sleep and on their bodies. If you want a firm mattress, try to pick one that gives you a good amount of support but doesn’t feel rock hard. And if you’re in the market for a more plush mattress, try to pick one that’s soft, but will still give your body plenty of support. Sometimes, an inability to sleep at night is a symptom or side effect of an underlying medical condition. If you’ve tried various remedies, tips and lifestyle changes to try to sleep better at night, but nothing has really worked, it might be time to see your doctor. He can discover whether or not your sleep problems are caused by something else. If your insomnia is caused by an underlying medical condition, getting the proper treatment for that condition could be the fastest and most effective way to put an end to your sleep problems. Some people find it surprisingly difficult to get a good night’s sleep. Either it takes them too long to fall asleep, or they find themselves waking up in the middle of the night. Either way, they aren’t getting as much sleep as they truly need. Fortunately, most find it simple to solve their sleep problems. In fact, just one of the remedies above might be all you need to make insomnia a thing of the past. 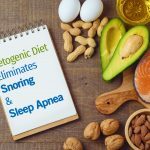 Previous post: Snore Strips: Are They Your Snoring Cure?